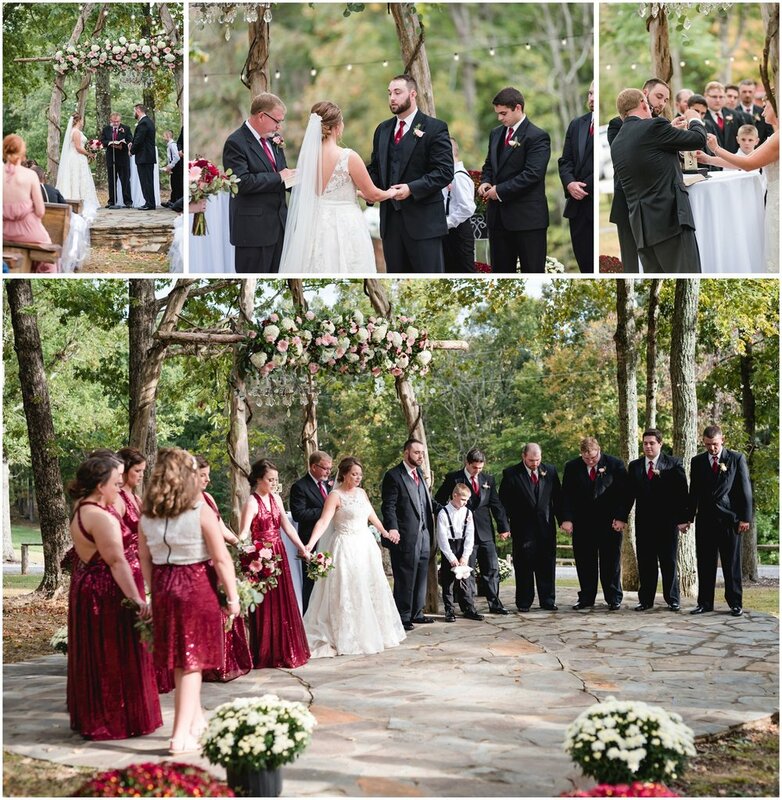 From the bride: We wished to have a styled wedding that screamed southern belle and sophistication. My wedding dress was everything and I especially loved how my wedding dress had pockets, it was perfect to hide tissues. And, I loved how my bridesmaid’s dresses sparkled, they were so elegant and fun! Along with our traditional wedding cake, we had an assortment of sweets including couture cupcakes and cheesecakes platters. I advise all brides planning their wedding to just relax. Your day will come together as planned. Enjoy your time, don't allow the stress to take away from the most special time of your life. I still miss the planning phase and really enjoyed planning my wedding. I wish I could relive my wedding day over and over. I just loved every minute. Photography: Carri Peterson, Sunlit Moments | Location: Columbia | Venue: Turkey Trot Farms - A Barn Affair | Videography: Casey Stenger, Faulkner Films | Florals: Jack Gupton | Cake: Mona Penick | Caterer: Bobby Marcum | Wedding Planner: Sandy Smith and Judy Duvall | Rentals: Cally McFall and Stacey Wilson Hatcher | Music: Jeff Wilson | Hair & Makeup: Alex Antle |Bride's Attire: Pink Lilly Boutique | Groom’s Attire: Geno’s Formal Affair | Credits: Patrick Reagan - Drone; Reverend Barney Taylor, Officiant.